70 bucks might not sound like a lot, but it can stretch far and wide when paired with the Senior Pass orange-cactus-flower card. ‘Cos that little gem will get you a whole bunch of possibilities and not just entrance to a National Park. So, $70 and your Senior Pass: the challenge is on. 7+ ideas for a new adventure with $70 and your Senior Pass! All 7 are related to a National Park or federal facility; the plus goes with everything. Figures approximate and subject to bureaucratic decision making. Take a budget bus ride into NYC to visit Stonewall National Monument, topped off with a boat ride to the Statue of Liberty and Ellis Island. Get a tour in Spanish, visit your ancestors, pay your respects, and have a nice day! See here for more winter ideas: Get Out Of The Grumps And Into A Park: 5+ Guided Winter Activities. Shell out $70 and car camp for a week at Shenandoah National Park while you hike sections of the Appalachian Trail. Buy a blackberry milkshake; try your luck at hanging food from a bear pole; experience four-footed creatures up close and personal, as in very up close and personal. 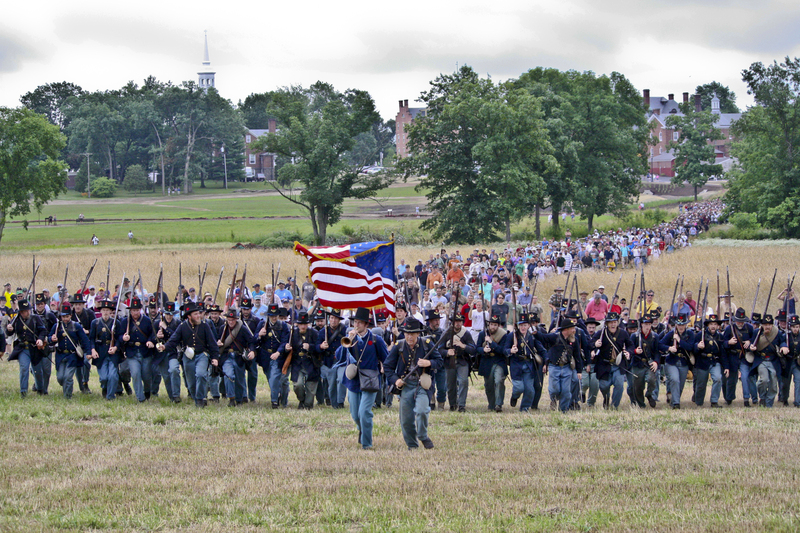 For $70 and your Senior Pass (roughly), buy a 3-day ticket and line up for battle at the annual Gettysburg re-enactment at Gettysburg National Military Park PA. Get in some walking and civil-war-reminiscing. $70 bucks and your Senior Pass for wildflowers on a whim. You were just going to drive snoozily along I-10 to see relatives in San Antonio, but sayonara to the third cousins twice removed. Why? 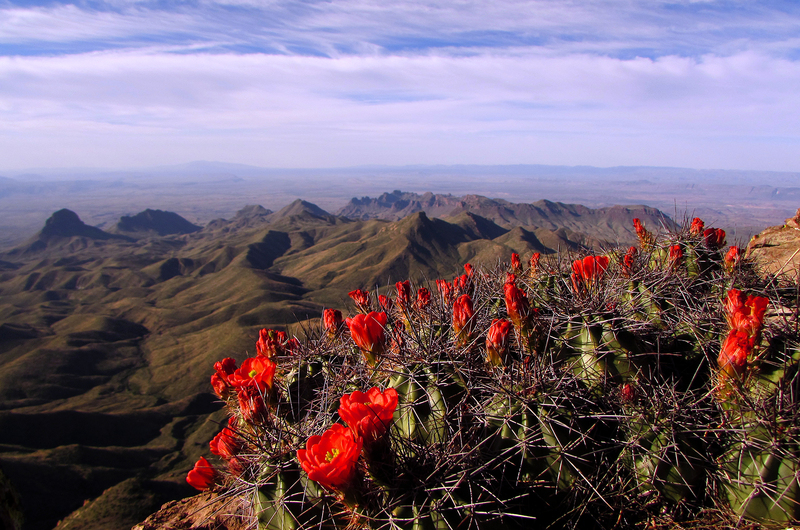 Per the car radio the cactus are flowering big time in Big Bend National Park. It’s 100 miles each way off the interstate, but with $70, you can afford the gas, the car’s already loaded with tent and sleeping bags, and a few nights of camping won’t bust the budget either. Can’t get better than that. 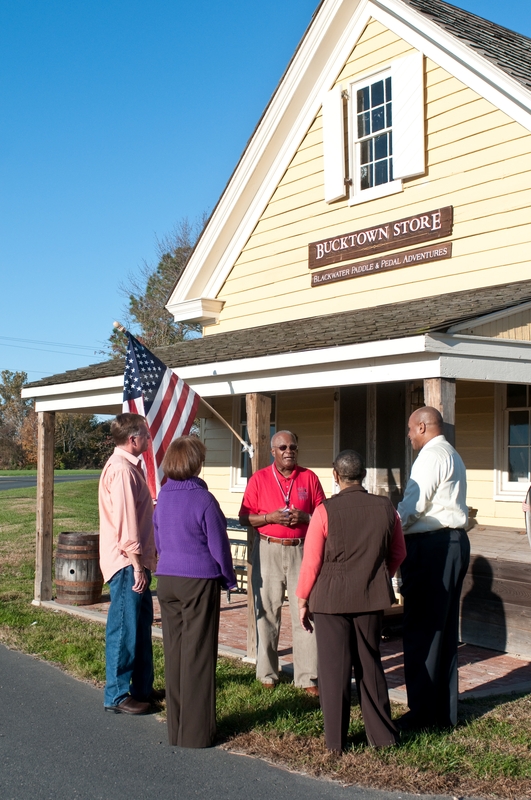 Your $70 allowance will fit in a trip during the inaugural year of Harriet Tubman Underground Railroad National Historic Site, followed by a free audio-guided drive around the Harriet Tubman Underground Railroad Byway. Camp among the wild horses at Assateague Island National Seashore. Yes, you read that right. $70 and your Senior Pass will get you all that camping. Of course, you might not want to stay there for a full 10 nights, but no prob, you’ll have budget to head on down the road to your next national campground. Not sure where that might be? Explore with Rand McNally’s TripMaker®, the RoadTrip Planner App, or the Ultimate Public Campground Project. Photo credits. 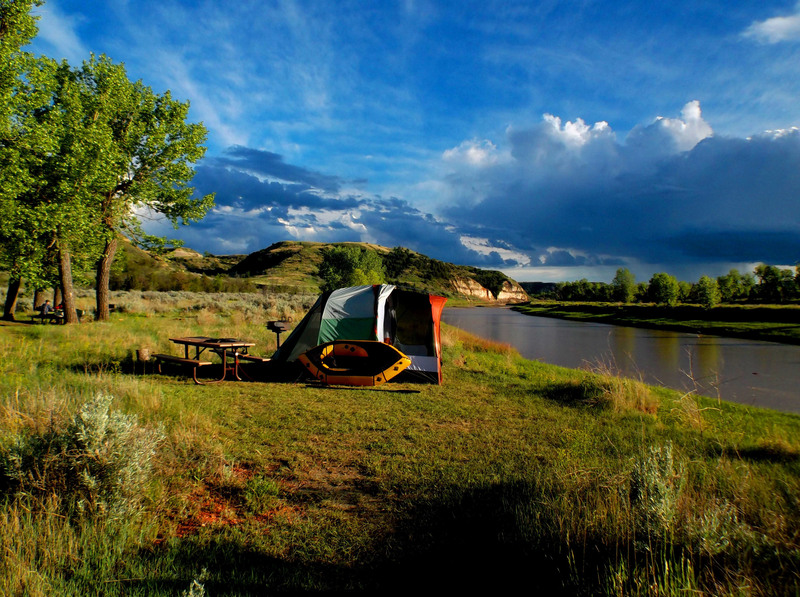 Featured image and top… Theodore Roosevelt National Park: Public domain by NPS. Top panel, NYC..Stonewall National Monument Designation: CC BY-ND 2.0 by NPCA via Flickr. 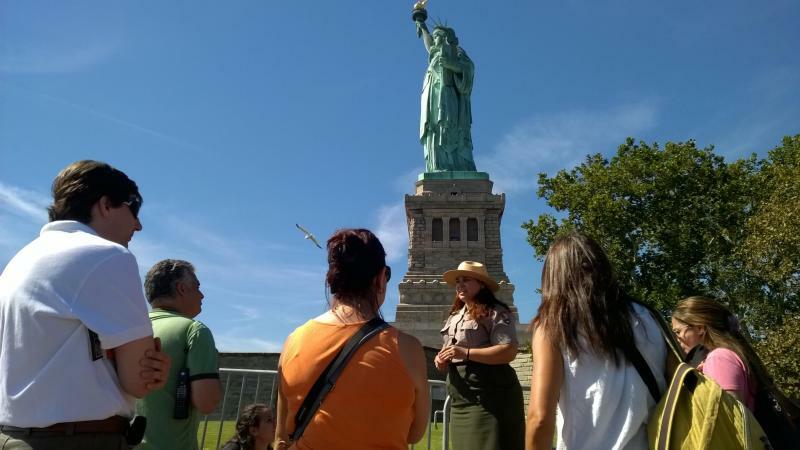 Statue of Liberty Tour in Spanish:Public Domain by NPS. Elk and sleigh, A Unique Wildlife Viewing Experience: CC BY 2.0 by USFWS Mountain-Prairie via Flickr. Reenactment at Gettysburg, The Iron Brigade charges up McPherson’s Ridge: Public domain by NPS. Big Bend, South Rim Vista: Public domain by NPS/Reine Wonite. 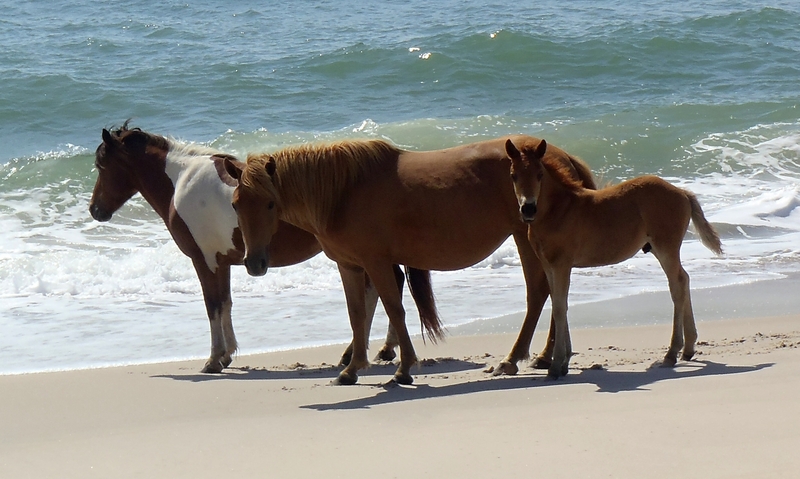 Maryland panel… Ponies and foal at Assateague Island: Public domain by NPS. Harriet Tubman, Bucktown Store: Public domain by NPS. Pie panel….Peanut butter silk pie: CC BY 2.0 by Roland Tanglao via Flickr. Key lime pie with strawberries: CC BY 2.0 by Ralph Daily via Flickr. Cherry pie a la mode:CC BY 2.0 by Sam Howzit via Flickr. Mini blueberry pies: CC BY 2.0 by Rebecca Siegel via Flickr.